Using costume contacts to complete your Halloween look is great, as long as you have a prescription. Tysons, July 31, 2017 -- If you are at the age where you need reading glasses to see your phone or read a newspaper, menu, or computer screen, See Clearly has exciting news to share! We would like to introduce to you the new Raindrop procedure. Raindrop is the world’s first inlay to change the shape of the cornea (the clear, front part of the eye) to improve near vision and it is designed to help reduce or eliminate the need for reading glasses. The outpatient procedure takes about 10 minutes and patients return to most of their daily activities the next day. Raindrop is receiving a great deal of interest with the recent FDA approval in June of 2016. But how does it work? Who is it right for? We understand many people have questions about Raindrop, so here are some answers to frequently asked questions. Age related loss of near vision or presbyopia is the condition that leaves many of us reaching for reading glasses in our 40’s and early 50’s. Anybody who needs reading glasses for daily tasks such as using mobile phones, reading a menu, fine print or doing close-up work may be a candidate. Presbyopia, or age related loss of near vision, happens when your lens loses elasticity, making it difficult to change your focus to see objects up close. Everyone -- yes, everyone -- will eventually develop presbyopia. 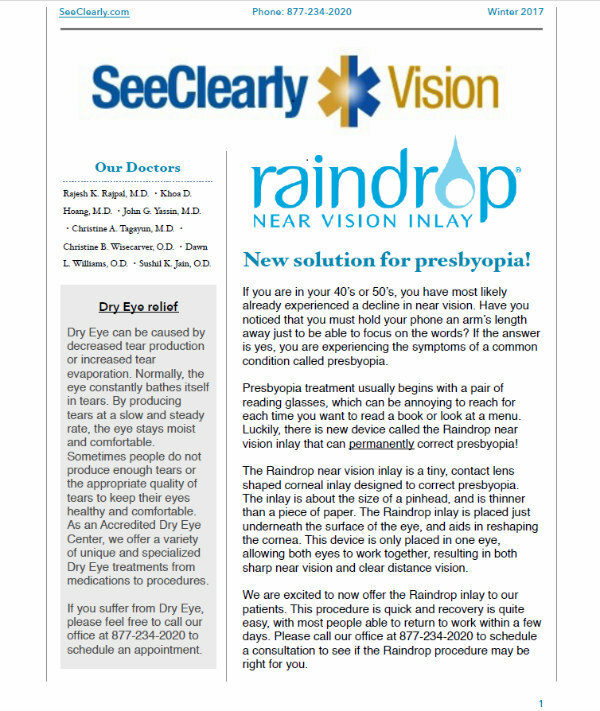 How effective is the Raindrop Near Vision Inlay procedure? It is a tiny disc, about the size of a pinhead. It is comprised of approximately 80 percent water and is placed just beneath the surface of the eye. It works by gently changing the central curvature of the cornea, clear front part of the eye. The procedure usually takes up to 10 minutes. Does it have to be done with LASIK? No, it is designed to be performed without LASIK. The procedure does require the use of an ophthalmic laser to create a LASIK-like flap just beneath the surface of the eye. Very well. 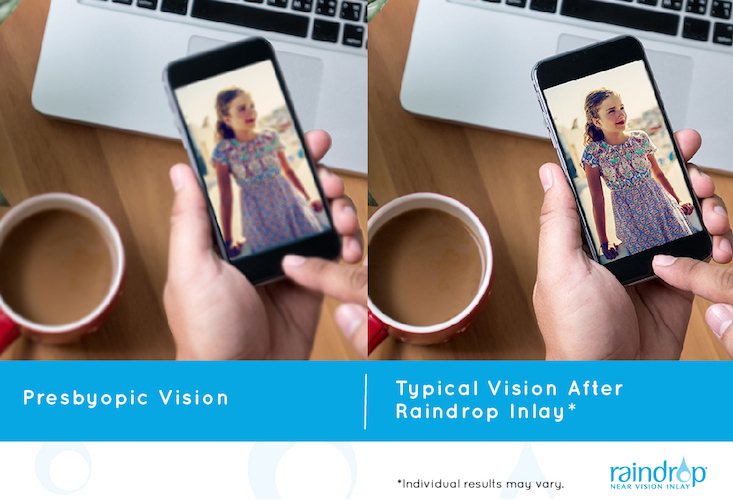 Since Raindrop is transparent 99.7% of light passes through the inlay reaches the back of the eye where the image is processed.1 Raindrop offers patients good performance in all lighting conditions. 1. Raindrop Near Vison Inlay Prescribing Label, ReVision Optics, Inc.
During the first weekend in May, a very important event took place in Tinseltown. It wasn’t a movie premiere or a celebrity plugging their latest product. In fact, it was much more exciting! The annual American Society of Cataract and Refractive Surgery (ASCRS) meeting took place in Los Angeles. While there, our very own Dr. Rajesh Rajpal hosted an event on Corneal Collagen Cross-Linking. An expert panel of doctors was assembled to discuss the science, implementation, and future of Collagen Cross-Linking. Collagen Cross-Linking is used to treat eyes with progressive keratoconus, a condition in which the normally round cornea thins and bulges outward into a cone shape. Cross-Linking can also be used in individuals who experience ectasia after refractive surgery. Ectasia occurs when the inner layers of the cornea become weak, causing the cornea to change shape, protrude forward, and distort vision. As the Chief Medical Officer of Avedro, which has produced the only FDA approved Corneal Collagen Cross-Linking device in the United States, Dr. Rajpal hosted and moderated the Cross-Linking event co-sponsored by Avedro and the Cornea Society. It was noted during this event that since its approval approximately one year ago, there are 1,500 Cross-Linking systems in the U.S. and over 250,000 treatments have been performed. See Clearly Vision is proud to be one of the first and primary practices to conduct the clinical trials for approval of Corneal Collagen Cross-Linking. To learn more about Collagen Cross-Linking, please call 703-827-5454 to schedule an appointment today. To see the Los Angeles Cross-Linking symposium, CLICK HERE. Do you have dry eye issues? TrueTear™ could be the product for you! Scratches, sores, infections…blindness. All of these can be caused by over-the-counter costume contacts. WALTHAM, Mass.--(BUSINESS WIRE)-- Avedro, Inc., an ophthalmic pharmaceutical and medical device company, is now shipping Photrexa Viscous and Photrexa, the drugs used in corneal cross-linking procedures with the KXL System. On April 15, 2016, Avedro received approval from the U.S. Food and Drug Administration (FDA) for Photrexa Viscous, Photrexa and the KXL System used in corneal collagen cross-linking for the treatment of progressive keratoconus. Subsequently on July 15, 2016, the company received U.S. FDA approval for the products’ second indication—for the treatment of corneal ectasia following refractive surgery. Corneal collagen cross-linking with Avedro’s Photrexa Viscous, Photrexa and the KXL system is the first and only cross-linking therapy approved by the FDA. Patients should consult their ophthalmologist to determine if corneal cross-linking is right for them. Patients and families can locate an ophthalmologist performing this procedure using the “Find a Physician” tool on Avedro’s website. What are Photrexa Viscous and Photrexa? PHOTREXA VISCOUS and PHOTREXA are photoenhancers indicated for use with the KXL System in corneal collagen cross-linking for the treatment of progressive keratoconus and corneal ectasia following refractive surgery. In progressive keratoconus patients, the most common ocular adverse reactions were corneal opacity (haze), punctate keratitis, corneal striae, corneal epithelium defect, eye pain, reduced visual acuity, and blurred vision. In corneal ectasia patients, the most common ocular adverse reactions were corneal opacity (haze), corneal epithelium defect, corneal striae, dry eye, eye pain, punctate keratitis, photophobia, reduced visual acuity, and blurred vision. Ulcerative keratitis can occur, and patients should be monitored for resolution of epithelial defects. It is not known if CXL is safe and effective in pediatric patients below the age of 14 years. Keratoconus is a progressive thinning and distortion of the cornea. 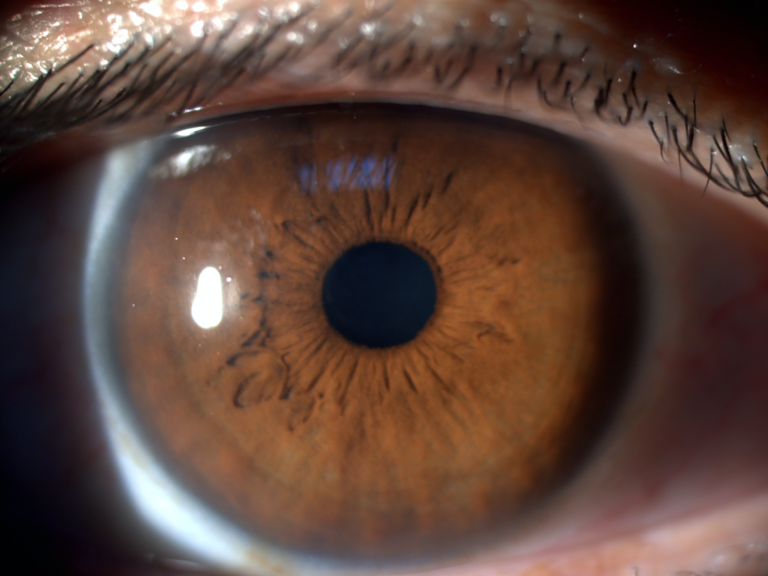 It is the most common corneal dystrophy in the US, affecting approximately one in every 2,000 Americans1or approximately 170,000 people in the US. Keratoconus causes the cornea to bulge from its normal symmetric domelike smooth optical shape, creating an abnormal curvature that changes the cornea's optics, producing blurred and distorted vision that is difficult to correct with spectacle lenses. This progressive thinning and weakening can result in significant visual loss and may lead to corneal transplants. Corneal ectasia, a non-inflammatory condition marked by progressive corneal steepening and thinning, is a rare but serious complication of vision correction procedures. The condition can begin within a week of surgery or after several years and is associated with worsening best-uncorrected visual acuity, an increase in ocular aberrations, and decreasing best-corrected distance visual acuity. Avedro’s Photrexa Viscous, Photrexa and KXL products are approved for sale in the United States for the treatment of progressive keratoconus and corneal ectasia following refractive surgery. Avedro’s products sold outside of the United States include capital equipment such as the UV-X devices, the KXL® and Mosaic™ Systems, and related proprietary pharmaceuticals such as the VibeX® and MedioCROSS® formulations. Avedro distributes its products in countries outside of the United States through a network of ophthalmic medical device distributors. First patient to have Collagen Cross-Linking after FDA approval. First patient to have Collagen Cross-Linking after FDA approval with Dr. Rajesh Rajpal. 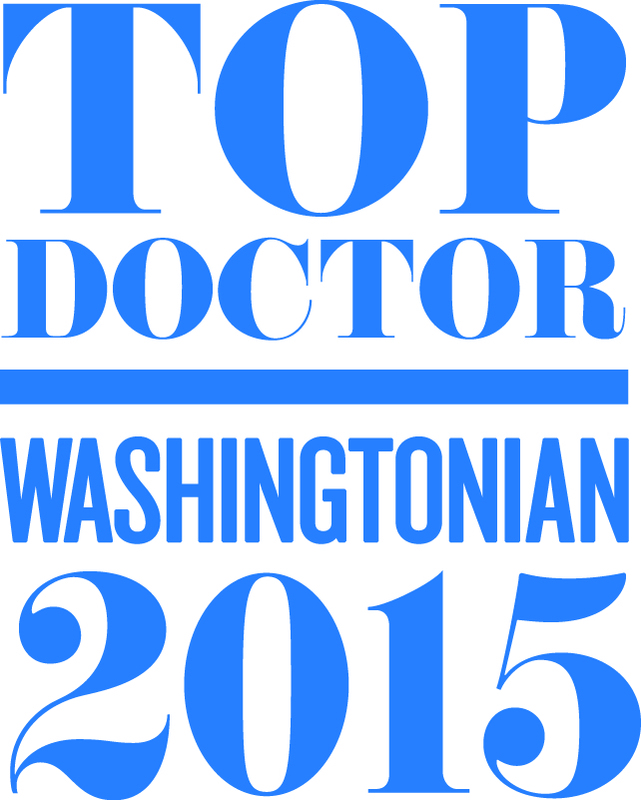 Congratulations to Dr. Rajpal and the staff at See Clearly Vision! Just about two weeks after getting Food and Drug Administration (FDA) clearance for its corneal crosslinking platform, Avedro Chief Medical Officer Rajesh K. Raipal, MD, outlined the company’s next steps to advance its position in the crosslinking space during the Ophthalmology Innovations Showcase at OIS@ASCRS 2016. April 18th, 2016 was a life-changing day for people living with keratoconus in the USA; corneal collagen crosslinking, the revolutionary treatment that's been performed in Europe since 1999, was finally approved by the FDA. Keratoconus affects as many as 1 in every 500 people, causing potentially severe vision loss. But it's progression and causes are poorly understood. During the disease process, the cornea tissue thins and weakens, causing the cornea to prolapse forward like a steepening mountain. The resulting warpage and associated scarring wrecks havoc on vision, often requiring severely invasive procedures like full thickness corneal transplant as the condition worsens. In corneal collagen crosslinking, the goal is to stop the progression of keratoconus while the damage is still mild and vision is still usable, long before more aggressive surgical interventions would be needed. Using riboflavin and UV light, doctors are able to strengthen the connections of the collagen fibers of the cornea so that they hold tighter and stronger together, locking the cornea in place. Because the procedure is so new here in the USA, most people living with keratoconus are being offered corneal crosslinking as a surgical option for the first time. Confusion about the procedure and its possible outcomes abounds. 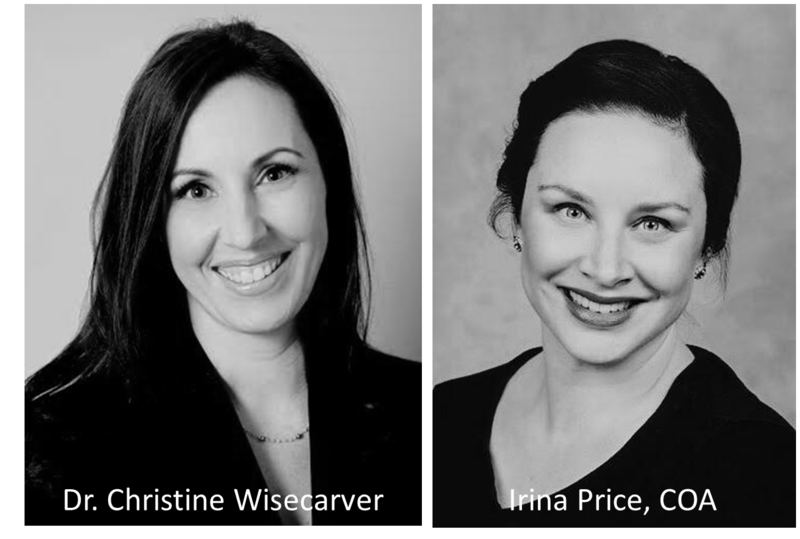 I interviewed Dr. Christine B. Wisecarver, an optometrist practicing at See Clearly Vision who manages the care of patients before and after corneal crosslinking surgery, and their surgical coordinator, Irina Price about what patients need to know before corneal crosslinking. Who do you consider a good candidate for corneal collagen crosslinking? There has been a paradigm shift in the management of keratoconus patients. Patients with evidence of keratoconus should now be treated with collagen crosslinking as soon as possible. Once they have been cross linked, patients should be managed with spectacles and contact lenses as needed. Collagen crosslinking is currently FDA approved for the treatment of progressive keratoconus only. It is not currently covered by any insurance company, and much like refractive surgery, is considered at the discretion of the doctor. Candidates for crosslinking are patients who have been diagnosed with keratoconus and are cleared for crosslinking by their physician. At what age would you consider treating a young patient with keratoconus that was advancing rapidly? Safety and efficacy has not been established in patients under the age of 14 years old. What can a patient expect visually from the procedure? Crosslinking helps prevent progression of the disease. It does not reverse keratoconus, and is not a refractive procedure (meaning it will not correct a patient's vision). Some patients get a mild flattening effect as they heal, but this does not happen for every patient. All crosslinking patients are advised that if they are wearing specialty contact lenses before the procedure, they will likely need them following their treatment. Since the cornea will be changing in the first 6 months after the procedure, a new refraction and contact lens refit will be needed. Corneal collagen crosslinking does not improve vision in keratoconus patients. The sole purpose of crosslinking is to halt the progressive steepening and thinning of the cornea. Having said that, it is currently the ONLY treatment that can reduce and ultimately halt the progression of the disease. What can a patient expect of the procedure itself? The procedure is about 1 hour long with drops instilled every 2 minutes and UV light exposure to the cornea for 30 minutes. A bandage contact lens is then placed on the eye to allow the surface cells to heal. After 5 to 7 days, the bandage contact lens is removed. The healing time is very similar to PRK (except here patients get drops and UV light instead of laser). Patients may be uncomfortable for the first 3 days while the surface is healing. Antibiotic and steroid eye drops are used in the immediate post-operative period. Using a copious amount of preservative-free artificial tears can help to speed up the healing process. How long after the procedure does it take to see results? Patients will likely not appreciate any visual result from treatment. The cornea usually stabilizes (i.e., curvature changes and prescription changes) by the 6 month mark. After that time, topography can be used to demonstrate that the procedure has helped to slow the progression of keratoconus. Besides keratoconus, are there other conditions you would treat with corneal crosslinking? There is no current FDA approval for treatment with corneal crosslinking beyond that of progressive keratoconus. Off-label treatments for corneal disorders other than keratoconus (for example, corneal ectasia following refractive surgery), are at the discretion of the corneal specialist. What do you see for the future using corneal crosslinking technology? Future indications for collagen crosslinking are currently being studied in the US and abroad. One possible indication is LASIK/PRK Xtra (crosslinking at the time of refractive surgery) to prevent post-refractive ectasia in higher risk patients like high myopes, young patients, and those with thin corneas. Additionally, surgeons are exploring targeted crosslinking where the aim is to achieve a visually improving refractive result in addition to preventing progression of keratoconus. Combination treatments like these, and the use of crosslinking for patients at risk for corneal perforation are areas in which cross linking may play a role in the future. See Clearly Vision is proud to announce the FDA approval for Collagen Cross-Linking for progressive Keratoconus. Since the induction of Collagen Cross-Linking in the United States, Dr. Rajesh Rajpal, Dr. Khoa Hoang, Dr. Christine Wisecarver, Dr. Dawn Williams and the staff at See Clearly Vision conducted rigorous clinical trials and have provided their expertise to lead the way for this highly anticipated procedure. We look forward to being one of the first in the industry to provide this groundbreaking treatment to progressive Keratoconus patients. Please visit the link http://www.businesswire.com/news/home/20160418006610/en/ for additional information about Collagen Cross-Linking. To see if Collagen Cross-Linking can benefit you, please feel free to call us at (703) 827-5454 to schedule an appointment for an evaluation. 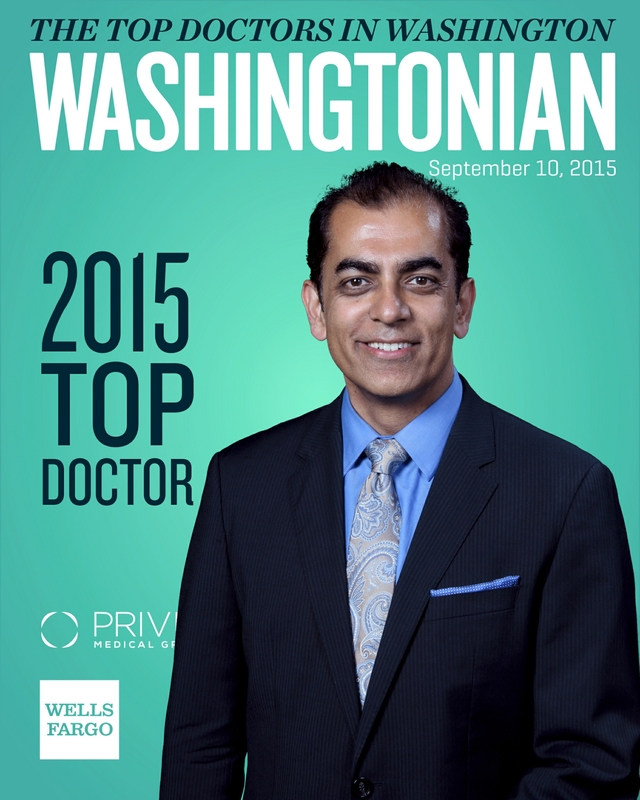 See Clearly vision is proud to announce that Rajesh K. Rajpal, M.D. 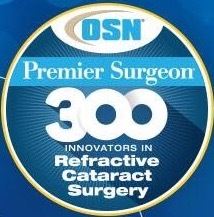 has been named to the prestigious Ocular Surgery News’ Premier Surgeon 300 – an elite group of premium refractive cataract surgeons that prove to be innovators in the field. What is a Premier Surgeon? The Premier Surgeon 300 is a list of premium refractive cataract surgeons the editors and publisher have identified as leading innovators in the field of refractive cataract surgery. These surgeons work to educate their colleagues, innovate by developing novel technologies and techniques to advance the premium practice or perform a high volume of premium refractive cataract surgery. To view the full Premier Surgeon 300 list click here. Waltham, Massachusetts, USA, November 12, 2013 – Avedro Inc., a Boston‐based ophthalmic medical device and pharmaceutical company, announces today that the first patients have been treated in two new US clinical trials: Lasik with Cross‐linking and Pulsed Accelerated Cross‐linking. Lasik with cross‐linking is a two minute procedure performed in conjunction with a standard Lasik procedure to investigate if cross‐linking following Lasik reduces regression of refractive outcome in patients with hyperopia or hyperopic astigmatism. Lasik with cross‐linking (Lasik Xtra®) is currently approved outside the United States and has been used successfully in more than 75,000 Lasik procedures. Avedro’s second new FDA trial for Pulsed Accelerated Cross‐linking investigates pulsed UVA light to treat keratoconus. Avedro’s science team discovered that pulsed, rather than continuous UVA light, is important when using higher power accelerated cross‐linking, such as that available with Avedro’s KXL® System. Further information about the Lasik Xtra trial and the Pulsed Accelerated Crosslinking trial can be found at www.clinicaltrials.gov. Avedro is a privately held medical device and pharmaceutical company advancing the science and technology of corneal cross‐linking and refractive correction. Avedro’s products include capital equipment and related single dose pharmaceuticals. Those products are currently used in a procedure known as Lasik Xtra. Over 75,000 surgeries have been successfully performed outside the US using Avedro’s KXL System. The KXL System’s accelerated cross‐linking, in combination with its pharmaceuticals, is also used to treat several important and debilitating ophthalmic pathologies outside the United States. Avedro distributes its products in 62 countries through 33 ophthalmic distributors with 115 representatives. Avedro products that have received CE Mark include: the KXLTM II System for performing PiXLTM, the KXL System for performing Lasik Xtra® and Accelerated Cross‐linking, and the Avedro family of proprietary single dose pharmaceutical formulations. Avedro’s KXL System and single dose pharmaceutical products are currently being used in three Phase III US clinical trials involving over 100 US clinical sites. Avedro products are not for sale in the US. Avedro today announced that in preparation for its US clinical trial, a select group of US refractive surgeons has just completed Lasik Xtra procedure training under Gustavo Tamayo, MD, at the Bogota Laser Center in Bogota, Colombia. Lasik Xtra is a two minute procedure used in conjunction with standard LASIK to provide added strength and stability to the cornea during and after a Lasik procedure. Already in use throughout the world, Avedro's Lasik Xtra combines riboflavin (vitamin B2) ophthalmic solution with Avedro's KXL® System (UVA irradiation) to achieve accelerated corneal crosslinking during LASIK. "I have seen the results that my international colleagues are obtaining, and I am enthusiastically awaiting the opportunity to perform hyperopic Lasik Xtra in Avedro's clinical study," said Peter Hersh, MD, Hersh Vision Group, Teaneck, NJ and Avedro Medical Monitor. "I now offer Lasik Xtra to my myopic and hyperopic LASIK patients," said Gustavo Tamayo, MD, Bogota Laser Center, Bogota, Colombia. "Crosslinking adds stability to my results and does not change the final result." A. John Kanellopoulos, MD, Laservision.gr Institute, Athens, Greece, and New York University Medical School, New York, NY, USA stated, "I have found that after two years of follow-up, hyperopes appear to have a more positive clinical course if we employ prophylactic Lasik Xtra in their LASIK procedures." "Internationally there is rising momentum for Lasik Xtra among surgeons and patients," said David Muller, PhD, CEO of Avedro. "Refractive surgeons and Lasik patients are realizing that in only a few minutes, during a standard LASIK procedure, Lasik Xtra can provide added stability to the LASIK correction." The group of refractive surgeons who underwent training with Dr. Tamayo included: Peter Hersh, MD; Michael Gordon, MD, Gordon-Weiss-Schanzlin Vision Institute, San Diego, CA; Michael Raizman, MD, Ophthalmic Consultants of Boston; Raj Rajpal, MD, SeeClearly Vision, Washington, DC; and Vance Thompson, MD, Vance Thompson Vision, Sioux Falls, SD. Over 50,000 Lasik Xtra procedures have been performed world-wide, and the Company's technology is currently being used in three Phase III clinical studies in the US involving over 100 clinical treatment sites. Avedro is a privately held medical device and pharmaceutical company advancing the science and technology of corneal crosslinking. The Company's products include capital equipment and related pharmaceutical products. The products are currently used to treat several pathologies as well as to improve Lasik procedure outcomes in a procedure known as Lasik Xtra®. In 2012 there were almost 50,000 Lasik Xtra procedures performed outside the US with Avedro's products. The Company is preparing to launch a new device platform which will open up significant new procedure opportunities that the Company has already demonstrated in early trials. Outside the US, Avedro has obtained CE Mark for its KXL System and its family of riboflavin products. The Company's technology is currently being used in three Phase III clinical studies in the US involving over 100 sites. Avedro products are not for sale in the US. The cornea is the clear structure in the front of the eye. It is very sensitive to light and touch due to the large number of nerves innervating the structure. The cornea has five anatomic layers, with the outermost layer being the epithelium. Breakdown of the epithelial layer of the cornea will leave the nerve-endings exposed; this is called an abrasion. Ultimately, this will cause the patient excruciating pain. Other symptoms will include a red eye, decreased vision, and light sensitivity. One way corneal abrasions can happen is when the cornea is scratched. A scratched cornea can be caused by a traumatic event, surgically induced, or inherent weakness of the cornea. We’ve seen many patients coming into our clinics because they were inadvertently scratched in their eye while playing with small children. We’ve also seen patients coming out of general surgery with excruciating pain in their eye from a scratched cornea. Lastly, we have patients that don’t know how they scratched their cornea; they simply woke up from a long night of sleep and their eye was hurting. Regardless of how the cornea is scratched, the main thing is to prevent the eye from becoming infected and decreasing patient discomfort. A corneal infection could lead to the development of serious vision loss, so it is in the patient’s best interest to be evaluated and treated by an eye care professional as soon as possible. Migraine is a neurologic syndrome (a group of symptoms that characteristically occur together) usually associated with moderate to severe headache, and recurrent episodes that last 4-72 hours. There is usually a throbbing headache on one side of the head (unilateral) that can be accompanied by sensory changes, gastrointestinal symptoms, or mood disturbances. The symptoms are frequently the same for repeat attacks, or stereotyped. The headache is typically one sided and is described as a throbbing or boring head pain. It typically occurs behind one eye, both eyes, or across the entire front of head. It will less commonly occur on the side of the head in the temporal region. Most unilateral migraine headaches change from one side to the other side at some point. Recurrent headaches always on the same side or at the same place often have another cause and less likely to be caused by a migraine; these should be thoroughly investigated to determine their cause. An aura is a visual disturbance that is often described by patients to appear as flashing lights, zigzag lights, blurred vision, or a visual field defect in which areas of vision are missing. Areas of missing vision are known as scotomas. The aura may last from 15 to 50 minutes, and is usually the preceding event to the migraine headache. It should be noted that a headache does not have to occur for the condition to qualify as migraine. The area of visual loss typically marches or gradually spreads across the visual field, and has what’s known as a build-up or increase over 15 to 20 minutes. Scotomas are frequently, but not always, surrounded by sparkles or flickering lights called scintallations. Other visual disturbances have been reported that resemble heat waves or water running down glass. Migraine accompaniments can include nausea, vomiting, mood changes, fatigue, sensitivity to light, or sensitivity to noise. There can also be temporary neurologic deficits such as local paralysis, numbness, or a tingling sensation, just to name a few. As the sun comes out and the rays intensify, it is important to remember how damaging UV exposure can be to the body. The skin of the eyelids is thin and delicate and very susceptible to damage from UV rays. Any abnormal growth or bump on the eyelid should be carefully monitored, evaluated, and often times biopsied. Ninety percent of eyelid tumors are basal cell carcinomas (BCC) that present as pearly nodules that may break down and ulcerate. Although BCC’s are localized and don’t typically spread to the rest of the body, they can be very invasive and destructive to the local tissue. Squamous cell carcinoma and melanoma are much less common on the eyelid or ocular surface, but are significantly more dangerous. Again, any patient experiencing a new growth on the eye should be evaluated by an eye care practitioner. Pingueculae and Pterygia are calluses that grow on the surface of the eye. These calluses are caused by environmental factors such as dryness, wind, and UV exposure. When these calluses become inflamed, the result is redness, irritation, and more dryness. UV protection and lubrication are critical in preventing inflammation and growth of pingueculae and pterygia. 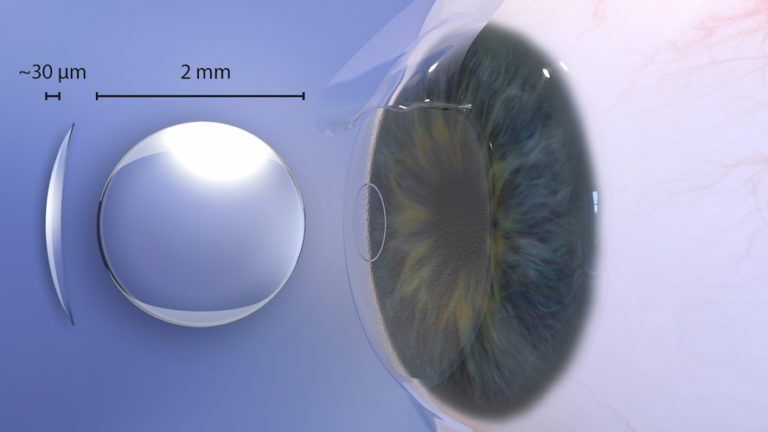 The natural lens is one of the greatest UV absorbing tissues of the eye. UV absorption by the lens prevents harmful rays from reaching the retina. Over time, however, these UV rays alter the protein composition of the lens resulting in cataracts. To protect the eyelids, ocular surface, and lens from UV damage, it is imperative that patients wear UV protection while outdoors. While tint intensity and polarization may aid in visual comfort, they do nothing to protect against UV exposure. Sunglasses should block 100% of UVA and UVB rays to have adequate protection and health benefits. It’s that time of year again! Allergy season is underway, and many patients are starting to come in complaining of itchy, red, watery eyes, swollen lids, and nasal congestion. Allergies are an over-response of patient’s immune system to what should be a benign aspect in the environment. Treatment of allergies includes: avoidance; washing hands, hair, and clothes that may have allergens; artificial tears or saline nasal spray to flush allergens; antihistamines; mast cell stabilizers; and steroids. If you are suffering from ocular allergies, make an appointment today. It is always easier to prevent an allergy than try to treat it when it is out of control. Drs. Wisecarver and Rajpal recently published an article on Allergic Conjunctivitis that was the featured Cover Story for the March 2013 issue of Advanced Ocular Care. For more information on allergies as they pertain to the eye, you may click here to read their article. See Clearly Vision is owned and directed by Rajesh K. Rajpal, M.D. He is a leader in the cataract, corneal, and refractive surgery communities, speaking to his colleagues at conventions and meetings all over the world. He is also a participating physician in many FDA studies. Before a drug can be marketed and sold in the U.S., the FDA must assess its safety and effectiveness for those that will be using the drug. 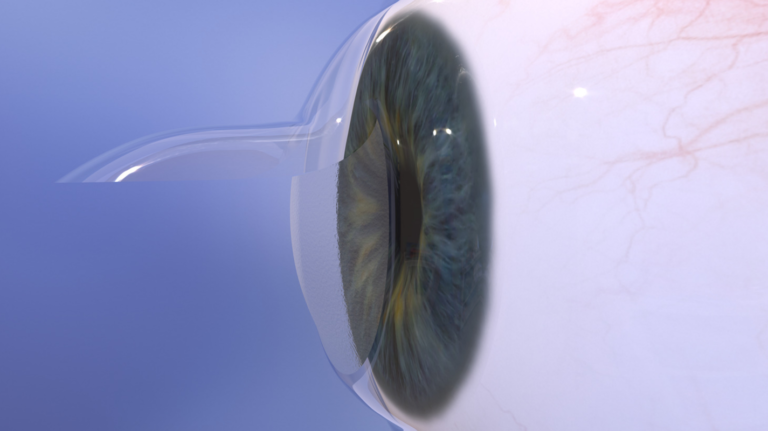 See Clearly Vision was chosen to be an FDA Study Site to determine whether Lotemax Gel 0.5% would be safe to use with patients recovering from cataract removal surgery. As with any surgery, there will be inflammation throughout the surgical eye and some general ocular discomfort. These symptoms are remedied by the use of steroid drops. In the past, surgeons have used several types of steroid drops to increase patient comfort and decrease the inflammation; they have proven very effective. However, some of those drops had side effects that were not pleasing to the surgeon. Bausch & Lomb derived a new formulation and Dr. Rajpal was selected to be the lead investigator in the FDA study. Ultimately, the drug was FDA approved as being safe and effective in post-operative cataract patients. See Clearly Vision is a group of eye care professionals that specializes in diseases of the cornea, cataracts, and laser vision correction. Our doctors are extensively trained and knowledgeable about the most up-to-date ophthalmologic surgical techniques, drug therapies, and contact lens options available. We take great pride in the patient care that we provide daily. We are also very proud to be associated with various educational institutions throughout the mid-Atlantic region, helping prepare medical students with interests in ophthalmology, optometry students, and ophthalmic technicians for their forthcoming careers. Not only are we proud to educate future eye care professionals, we are always very happy to educate the general public. There are numerous aspects to the eye and eye care, some of which can be quite unclear. To that end, Dr. Williams speaks at various events focused on eye care. Recently, she and Dr. Rajesh Rajpal, M.D. spoke to the Rotary Club of McLean about laser vision correction and cataracts. Additionally, Dr. Williams participates in Navy Federal Credit Union’s annual Health Fair where participants are screened for general eye issues. In the near future, she will be speaking to a group of employees with Freddie Mac about how hypertension and diabetes can affect vision. Her goal is to help shed light on many issues facing various people throughout the community. If your organization is interested in having Dr. Williams speak, please call the office at 703-827-5454. Many pre-teens and teenagers don't want to wear glasses for various and assorted reasons. Contact lenses can be a healthy option for pre-teens in order to build their self-esteem, and in some cases see more clearly. Before prescribing contact lenses to a teenager, the child’s ability to wear and take care of them must be assessed. While it is necessary and safe for many infants & toddlers with severe refractive errors wear contacts, some teenagers shouldn't wear them due to a lack of responsibility. In other words, each case is different and communication between eye care provider and parent is paramount. The following information will help you decide whether contact lenses are a good idea for your child. The appearance of a teen and his self-esteem are closely related. To that end, many pre-teens would rather wear contacts than glasses. If they don't like the way they look in glasses, it can affect their personality, their performance in school, and overall social interactions. The use of contact lenses has been shown to increase a child’s esteem and many shy children will actually overcome their shy behavior. Children that wear glasses sometimes have a hard time participating in sports activities. This is because they aren’t comfortable playing with glasses, and can’t see when they take them off. An alternative is to wear sports goggles. Even if your child is wearing high safety standard eyeglass lenses, if the frame breaks, an eye injury can occur. These safety goggles can decrease peripheral vision because they are customarily thick and bulky on the sides. With contact lenses, he or she will gain greater peripheral vision which can enhance performance in their sport. They can choose to wear protective goggles, but wearing them is not required as it was before. There are a few different types of contact lenses. You will find that some are more cost-effective than others. Monthly replacement lenses are slightly less expensive than two week replacement, which is slightly less expensive than daily disposable lenses. For those patients that only use lenses occasionally, daily disposables are the best and most cost-effective. Many teenagers are prescribed daily lenses as they require less time for cleaning which can make them safer. Unlike soft contacts, gas permeable contact lenses are made of a firm plastic material that retains its shape. This means they're easy to clean without tearing or scratching, and they generally last longer than soft contacts or glasses. These lenses are often used in special circumstances and are not standard in most eye care professional’s offices. However, they do benefit those needing them and provide very clear vision. They can be uncomfortable in the beginning and may take some time to get used to. Most eye care professionals report great results with kids and contact lenses. They find that kids of all ages usually take contact lens wear seriously and are more likely to take care of them, even better than some adults. Most eye doctors will not prescribe contact lenses for pre-teens if it’s determined they aren't ready for them, or who don't have a good reason to wear them. If a child doesn't take good care of them, the eye doctor will no longer prescribe contact lenses for the child, understanding the maintaining good ocular health is of the utmost importance. TiE DC, The Indus Entrepreneurs, was founded in Silicon Valley in 1992 by a group of successful entrepreneurs, corporate executives, and senior professionals with roots in the Indus region. There are currently over 13,000 members, which includes 61 chapters across 17 countries. The mission of the organization is to foster entrepreneurship globally through mentoring, networking, and education. A stye is an inflammatory “bump” in the lid. There are two varieties. When the infection is in a hair follicle of the skin of the lid, it is termed a hordeolum. If it is in the gland which is in the posterior aspect of the lid, it is called a chalazion. When the area is acutely infected it is termed a hordeolum. Patients with the infection will report pain or tenderness in that localized area. The treatment consists of hot compresses, antibiotic drops and sometimes antibiotic pills. Antibiotic therapy will eliminate the infection, but the bump may persist. Chalazia are benign areas of inflammation that result in a bump on the eyelid. The area typically does not hurt; it simply causes a disturbance in appearance or vision. Antibiotics are not needed as the eyelid is not infected. The use of warm compresses can cause the chalazion to decrease in size. The use of steroid creams and ointments may prove helpful as well. If a residual bump persists and is causing problems with vision or is a cosmetic concern, it will need to be surgically excised. Fortunately, this is usually done with an incision on the inside of the lid so there is no visually obvious scar or cosmetic defect. We do this minor surgery in our well-equipped offices on a routine basis. If this issue is affecting you, please call our office to schedule an appointment. Pinguecula and pterygium are yellowish or white growths that appear on the front of the eyes, usually in the nasal portion. They are non-cancerous and common in their occurrences. The presence of these nodular growths may cause some ocular discomfort and changes in vision. A pinguecula is a small nodule that grows on the white part of the eye, known as the sclera. The cause of the nodule is not known, but long-term exposure to sunlight is thought to be a contributing factor. They are present in many people, but most are unaware because they have no symptoms. Those that are symptomatic will complain of feeling a small particle in their eye or ocular dryness. Often times, the use of lubricating drops will remedy the issue. Pingueculae will likely remain stable and cause very few symptoms. Conversely, they can progress in size and become what is known as a pteyrgium. A pterygium is a wing-shaped growth that has moved from the white part of the eye (sclera) onto the clear portion of the eye, known as the cornea. It will also have a nodular appearance, and will be white. The pterygium can cause the area surrounding it to become red and irritated. These patients may also complain of the eye feeling dry, more so than with a pinguecula. In some cases, the growth will progress and grow into the central visual axis near the pupil. This will cause a decrease in clear vision. In order to relieve the dryness, moisturizing drops may provide relief of symptoms. However, the growth may be large enough that lubricating drops don’t help enough. When vision is impaired and ocular discomfort persists, surgical removal may be the next step in treatment. Visit your nearby eye care provider for a complete evaluation. Let’s face it, even in the best of circumstances accidents can happen. Sometimes, these accidents will involve the eye or the surrounding area. Incidents can include being hit in the head with a baseball or basketball; falling and hitting your head; being poked in the eye by a finger or a tree branch; having something fly into the eye. The list can go on and on. When any of the preceding occurs, being evaluated by an eye care professional will ensure that all structures of the eye are healthy. It is especially important to be seen if there are ocular symptoms or visual disturbances. This will include ocular pain in or around the eye, short-term loss of vision, decreased vision, red eye(s), the appearance of floaters, or the presence of flashing lights. It is best to be seen by an eye doctor sooner, rather than later. Many people begin to notice an increase in ‘extra’ skin in the upper and lower brow areas of the eye. This change will cause the appearance of droopy or puffy eyelids. It can be the result of aging or may be hereditary in its nature. Allergies and smoking can cause the additional skin to appear at a relatively young age. To some, this may simply be an issue of vanity and they would like the skin removed to look more youthful. For others, it becomes an issue of function; the droopy skin impedes vision and can make daily activities challenging. Regardless of whether the skin is causing cosmetic or visual problems, there is a solution. Blepharoplasty, the medical term for a lid lift, is one of the most common surgical procedures done to correct “baggy eyelids”. The procedure is fast, done on an out-patient basis, and comes with manageable discomfort. A proper examination by your eye care professional can determine if surgical correction is appropriate and would be beneficial to you. As Contact Lens Specialists, we are often asked to fit our patients with contact lenses beyond the basic disposable contact lenses for distance vision. Intermediate and near vision have become a tremendous priority for contact lens patients over the age of 40. Monovision correction (one eye is corrected for distance and the other eye is corrected for near, and multifocal lenses are available with an increase in demand. In addition to the customary contact lenses, we are also called upon to fit irregular or diseased corneas. Patients with keratoconus (a thinning and protrusion of the cornea), corneal dystrophies, those who have had a cornea transplant, and patients with excessively high amounts of nearsightedness are enjoying the comfort and vision provided by rigid scleral prosthetic lenses. Scleral lenses create a smooth, rounded optical surface that drastically improves vision through the otherwise distorted surface. 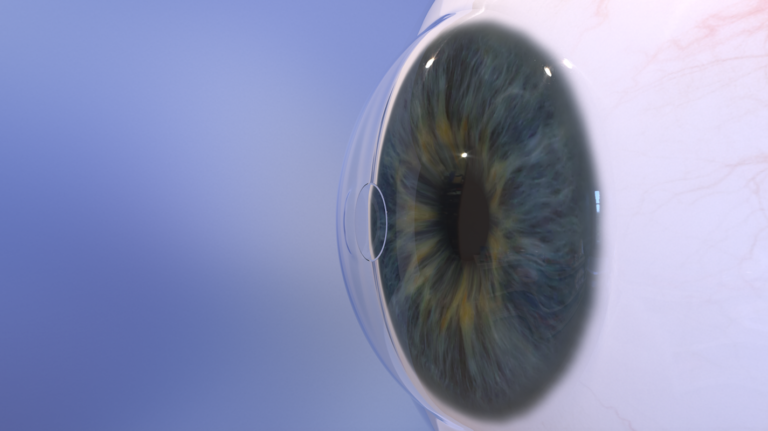 For patients with traumatic injuries, we are able to create custom soft prosthetic lenses that can match the iris color of the patient’s fellow eye. These lenses may also help improve the cosmesis and comfort in a non-seeing eye. If you are having trouble with the fit or vision of your current contact lenses, please schedule an appointment with one of our Contact Lens Specialists to discuss options that may be available for your unique circumstances. Dr. Rajesh Rajpal is an OSN Refractive Surgery Board Member. 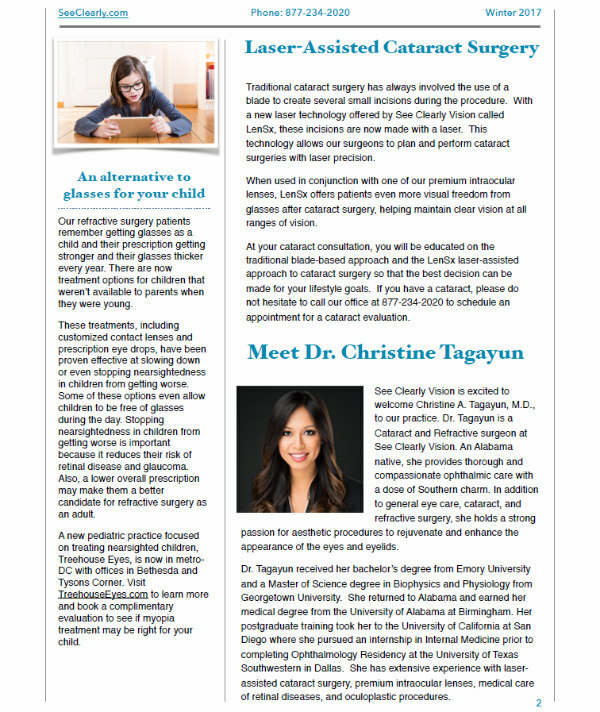 Ocular Surgery News is a popular bi-monthly publication aimed at sharing the most up-to-date information as it relates to ocular surgery. In the most recent edition of OSN, an article was published discussing a new way to measure corneal astigmatism. As an expert in the field of refractive surgery, Dr. Rajpal was asked to respond to the usefulness of the new technique. He notes that in order for the method to be useful, it must be able to help refractive surgery candidates achieve even better visual outcomes than current methods do. To read more about the new technique and see Dr. Rajpal’s complete response, you can visit healio.com/ophthalmology. Our world is so much more advanced with the invention and progression of computer technology. More and more of us find ourselves spending the majority of our eight hour work day on our desktops or laptops. When we use computers for long periods of time, we tend not to blink as often as we normally do. The lack of blinking will result in an inconsistent tear film on the surface of the cornea, which can result in ocular discomfort (often reported as a stinging or burning sensation). The eyes may also become red as a result of the ocular irritation. In order to prevent these symptoms, eye care professionals recommend that you take frequent breaks; looking away from your monitor every 20 minutes should do the trick. It may also be helpful to instill lubricating drops during work hours to help maintain a healthy tear layer. If none of those options provide relief, see your eye care professional for a proper examination and treatment. Currently, there are several types of laser procedures available to treat the various types of glaucoma. Based on the type of glaucoma, a corresponding laser treatment is indicated. Laser peripheral iridotomy is an effective way to treat a type of glaucoma called Anatomical Narrow Angle. It is a type of glaucoma that can cause patients to experience an angle closure attack. The purpose of the angle is to allow ocular fluid to freely pass from the back of the eye to the front portion of the eye. When the angle is narrow, fluid builds up and will cause the angle to completely close. These attacks occur rapidly, resulting in ocular redness, pain in and around the eye, decreased vision, a headache that is not alleviated with pain medicine and nausea and vomiting. If not treated in a timely manner, the decreased vision can lead to permanent loss of vision. Occasionally, the attacks are chronic; happening repeatedly over a long period of time. In these situations symptoms are minimal and often times go unnoticed. Symptoms can include minor headaches that occur in dark environments, but are relieved when lights are on. During an office visit, your eye care professional will assess the angle of your eye by gonioscopy. If the angles are narrow, it may be beneficial for you to undergo an LPI. The purpose of the laser is to allow fluid to have an alternate pathway from the back of the eye. The laser is a short outpatient procedure that can prevent the attacks and therefore preserve the current visual acuity. Selective laser trabeculoplasty is another way of lowering eye pressure in eyes that have open angles. This type of glaucoma will result in high pressure caused by an overproduction of ocular fluid, or the filtration portion of the eye is working slowly. Traditionally, eye drops have been used as the initial treatment for open-angle glaucoma. Their function is to reduce the amount of fluid being produced, or to increase fluid outflow. If multiple drops don’t maintain an adequate eye pressure, a laser can be used. However, with the advancement of laser technology, selective laser trabeculoplasty is a viable first step for many patients. During the procedure, a laser is used to stimulate the drainage system of the eye thereby lowering eye pressure by reducing the amount of fluid in the eye. It is a great way to control ocular pressure without the use of daily medications and is especially beneficial for patients who have trouble instilling eye drops. Children can experience the same symptoms related to computer use as adults. In prior years computers were almost exclusively used by adults. Today, children increasingly use these devices both for education and recreation. Millions of children use these devices on a daily basis at school and at home. Extensive viewing of small computer screens can lead to eye discomfort, fatigue, blurred vision and headaches. However, some unique aspects of how children use these computers may make them more susceptible than adults to the development of these problems. Unfortunately, unlike adults, children are often unable to effectively communicate their symptoms to their parents. •Children often have a limited degree of self-awareness. Many children keep performing an enjoyable task with great concentration until near exhaustion (e.g., playing video games for hours with little, if any, breaks). Prolonged activity without a significant break can cause eye focusing (accommodative) problems and eye irritation. •Children are very adaptable. Although there are many positive aspects to their adaptability, children frequently ignore problems that would be addressed by adults. A child who is viewing a computer screen with a large amount of glare often will not think about changing the computer arrangement or the surroundings to achieve more comfortable viewing. This can result in excessive eye strain. Discomfort can also result from dryness due to infrequent blinking. Furthermore, children often accept blurred vision caused by nearsightedness (myopia), farsightedness (hyperopia), or astigmatism because they think everyone sees the way they do. Uncorrected farsightedness can cause eye strain, even when clear vision can be maintained. •Children are not the same size as adults. Most computer workstations are arranged for adult use. Therefore, a child using a computer on a typical office desk often must look up higher than an adult. Since the most efficient viewing angle is slightly downward about 15 - 20 degrees, problems using the eyes together can occur. In addition, small children may have difficulty reaching the keyboard or placing their feet on the floor, causing arm, neck or back discomfort. •Have the child's vision checked. A comprehensive eye examination will ensure that the child can see clearly and comfortably, and detect any hidden conditions that may contribute to eye strain. When necessary, glasses, contact lenses or vision exercises can provide clear, comfortable vision for computer use. •Build in break times. A brief break every 20-30 min will minimize the development of eye focusing problems and eye irritation. Follow the simple rule of “20-20-20”: for every 20 minutes of near/computer work one must look 20 feet away and beyond for at least 20 seconds. •Carefully check the height and position of the computer. The child's size should determine where the monitor and keyboard are placed. In many situations, the computer monitor will be too high in the child's field of view. A good solution to many of these problems is an adjustable chair that can be raised for the child's comfort. A foot stool may be helpful in supporting the child's feet. •Carefully check for glare and reflections on the computer screen. Position the monitor to minimize glare. Windows or other light sources should not be directly visible when sitting in front of the monitor. When this occurs, the desk or computer may be turned to prevent glare on the screen. Sometimes this will cause any glare to appear less obvious. •Adjust the amount of lighting in the room for sustained comfort. John G. Yassin, M.D., is pleased to continue his role as a National Consultant to the Walter Reed Ophthalmology Residency program. He is the longest serving consultant in this role which has included some of the most prestigious names in Ophthalmology. He presently serves as their consultant in Contact Lenses. This discipline is required by the accrediting body of residency programs. Until six years ago, he was their consultant in Oculoplastic Surgery. The residency has twelve residents making it amongst the largest in the country. The move of Walter Reed to the National Naval Center in Bethesda has now been completed. The new facility, Walter Reed National Military Medical Center, is state of the art with cutting edge technology in all aspects of eye care. The updated technology applies to the use of contact lenses that are used to visually rehabilitate those active duty personnel who cannot be aided without the use of contact lenses. This increase in vision is appreciated by those that have sustained injury during military combat or those with existing ocular disease. Many doctors would agree that treating friends and family can be particularly stressful. Expectations are more stringent; complications are unacceptable. Recently, Dr. Rajpal performed cataract surgery on one of our employees, and I took the opportunity to interview Marti on her experiences. Dr. CBW: Marti, how did you know you had a cataract? What were your visual symptoms? Marti: I knew I had a cataract when everything started to become very blurry. I was driving on a trip when I realized that my vision was so blurry, I was at risk driving. Dr. CBW: You spend all of your work day in our administrative office. Describe your experience in the clinic as a patient. Marti: My experiences in the clinic as a patient have always been very good. The clinical staff is very professional and kind. Dr. CBW: Describe your experience at the surgery center. Marti: I had a great experience at the Virginia Hospital Center Out-patient Surgery Center. The nurses were great. I received excellent care during my stay. Dr. CBW: You chose to have an "upgraded" toric lens implanted. Did it correct your astigmatism? You also chose to have one eye corrected for near and the other eye corrected for far. In what situations do you need spectacles? Marti: Dr. Rajpal and I chose the Toric lens for myself, which was spot on. Not only did it correct my astigmatism, but also rendered me contact and glasses free. Dr. CBW: Marti, what would you say to a fellow baby boomer who is contemplating cataract surgery but nervous about the procedure? Marti: I would tell my fellow baby boomers not to wait as long as I did. It is a very easy surgery with tremendous results. Modern cataract surgery offers a variety of options that allow patients to function better visually than they ever have before. We now have lens implants that correct for astigmatism or even achieve multifocal vision after removing the cataract. The most important issues in deciding on the appropriate lens are assessing the health of the eye and determining each person's visual needs and preferences. The appropriate measurements are then taken to determine what lens implants may be appropriate for each person's individual visual needs. It's an exciting time to be able to improve vision with all of the latest advances and surgical options! Herpes zoster ophthalmicus, or Shingles involving the eye, is a reactivation of the Chickenpox virus. When we contract Chickenpox as a child, the treatment provided will alleviate the acute symptoms. That virus, however, will remain in your system in a dormant or inactive state. Reactivation can occur later in life; the peak age is between 50-75 years old. Possible causes of herpes zoster can be stress, a weakened immune system, or chemotherapy or radiation treatment. Patients may experience symptoms of facial pain and redness only on one side of the face with a characteristic rash, headache, blurred vision, malaise, and a low grade fever. Treatment for Shingles involves the use of antiviral pills, eye drops when the eye is involved, and comfort care or pain relief until the symptoms resolve. Often patients will be symptomatic for dry eye syndrome after the attack of Shingles and may require aggressive dry eye treatment. Some patients will experience intense nerve pain that will require the care of the primary care physician. A new development has recently been released to prevent the reactivation of herpes zoster ophthalmicus. Zostavax is a vaccine that is FDA approved and has been shown to greatly decrease the chance of getting Shingles. Some patients will still have Shingles even with the vaccine, but those patients tend to have a less severe occurrence. •Need for More Light: As we age, we need more light to see as well as we did in the past. This can be caused by changes in the ocular media. To remedy this, brighter lights in your work area or next to your reading chair can help. When the bright lights aren’t making tasks easier, it is commonly due to the presence of crystalline changes called cataracts. The presence of cataracts can be diagnosed and treated by visiting your eye care professional for a complete eye examination. •Difficulty Reading and Doing Close Work: Printed materials are not as clear as before, in part because the lens in our eye becomes less flexible with time. This makes it harder for our eyes to focus near objects with the same ability we had when we were younger. The use of reading glasses or bifocals can easily solve this problem. •Problems with Glare: We may notice additional glare from headlights at night or the sun reflecting off of windshields or pavement during the day. These things can make driving more difficult and possibly unsafe. Changes within the lens in our eye cause light entering the eye to be scattered rather than focused precisely on the retina, thus creating more glare. •Changes in Color Perception: The normally clear lens located inside our eye may start to discolor making it harder to see and distinguish between certain shades of colors. Again, this is due to the presence and maturation of cataracts. Cataract extraction surgery can be done to enhance colors. It is one of the most commonly performed surgeries in the country. •Reduced Tear Production: With age, the tear glands in our eyes will produce fewer tears. This is particularly true for women after menopause. As a result, our eyes may feel dry and irritated. Having an adequate amount of tears is an essential element in keeping our eyes healthy and maintaining clear sight. The use of artificial lubricants can increase ocular comfort, as well as provide a more adequate tear film; that will ultimately allow for clearer vision. If you are experiencing any of the symptoms mentioned in this article, it will likely benefit you to make an appointment with an eye care professional. They will be able to properly diagnose the cause of your issues and recommend appropriate therapies to alleviate them. There is no known cure for glaucoma. However, the goal of treatment is to preserve the patient’s existing visual field. Reducing IOP is the only proven method for stopping the progression of optic nerve damage and related field loss. Reduction of IOP by at least 30% is believed to be necessary. Normal IOP ranges from 10 to 21 mmHg. There are, however, usually small fluctuations in IOP of about 4 mmHg, up or down, throughout the day. Successful treatment of glaucoma is accomplished with the use of anti-glaucoma medications in the form of an eye drop, ophthalmic gel, or pills; often times the various modalities are used in combination. If proven ineffective in reducing IOP adequately, medications may be followed by laser treatment. The effect of laser treatment in lowering IOP is often successful. In the event the laser treatment proves ineffective, there are other, more invasive surgical procedures that can be performed. The topically applied drops and gels for treatment of POAG are used to reduce the production of aqueous fluid in the eye, and/or to increase the outflow of aqueous fluid from the globe. This reduction in fluid will thereby cause the IOP to be lowered. Medications for POAG are tolerated well by most patients, but they may have associated side effects, both locally and systemically. Locally applied eye drops and gels can cause toxic or allergic reactions of the eyelids, conjunctiva and cornea, with redness, swelling, foreign body sensation, and itching. Also reported are changes in iris color and skin of the eyelids and lashes. These eye drops and gels can also cause systemic side effects that can include respiratory symptoms (specifically the exacerbation of asthma), cardiac symptoms (increase in heart muscle conduction defects), lethargy, and even personality changes. Oral agents used to treat POAG are a group of medicines termed Carbonic Anhydrase Inhibitors. They can cause generalized weakness, and numbness and tingling of the lips and extremities. One of the biggest problems with medical treatment of POAG is poor compliance by the patient. Another problem is the patient who is frequently elderly may be unable, or unwilling to properly administer their medication. This may be due to limited mobility, lack of manual dexterity, intolerance of side effects, or forgetfulness. Cholinergic Agents (e.g., Pilocarpine or Pilopine). There are also some popular eye drop solutions which represent combinations of different medicines (e.g., Cosopt or Combigan). Occasionally, medication is given systemically, most notably in pill form, to lower eye pressure. The medication Diamox has a diuretic effect. While reports in the popular news media have publicized the positive effect of marijuana, as well as alcohol, on the lowering of IOP, their effect is relatively weak compared to that of the established prescription medication. 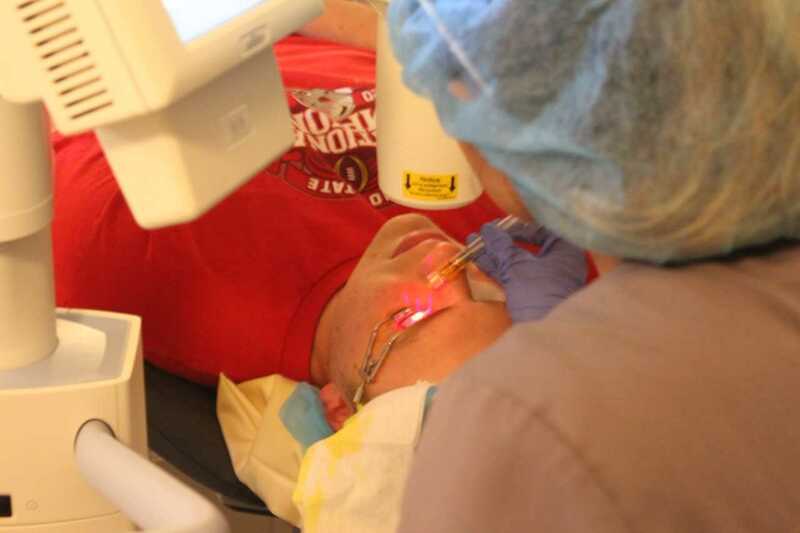 Laser treatment is sometimes recommended early in patients with severe side effects from medications, or that have been known to have poor compliance. Invasive surgery glaucoma surgery is performed as a last resort. It is termed trabeculectomy and is performed to relieve the pressure in the eye so that the IOP can be reduced. There are occasions when the insertion of a tiny tube or mechanical valve is recommended to redirect fluid in the eye. The goal of these procedures is always to create an opening in the wall of the eye, which does not close, and which creates an unobstructed path for the aqueous fluid to drain out of the globe. As a last resort in a nearly blind eye, to avoid pain, a procedure can be done to destroy the ciliary body, the part of the eye that produces aqueous production. This is done by way of directly invasive surgery, or the application of freezing or heat energy. Use of a laser or invasive surgery to treat POAG can cause premature cataract formation, and/or a dangerously low or high IOP. Invasive surgery can result in post-operative infection, and even retinal complications. 4.) Computerized imaging studies, which provide a topographic map of the optic disc for quantitative measurement and comparison over time. These imaging techniques are accomplished with machines such as an HRT, GDX, or the newer OCT.
Prognosis in Primary Open Angle glaucoma (POAG) is generally good if it is diagnosed early, and intra-ocular pressure (IOP) is controlled. An attempt is made to determine the rate of progression of the optic nerve damage. 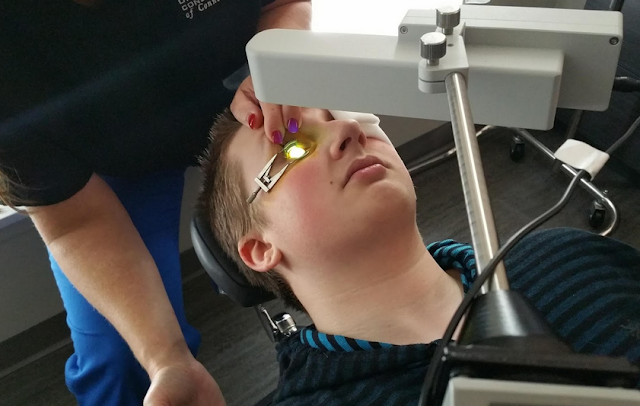 The goal is to halt optic nerve damage, while avoiding undue side effects of treatment. The course of POAG is usually slow, painless, and progressive. In the early stages POAG is usually asymptomatic. Optic nerve changes precede visual field changes, and are usually irreversible. An attempt is made to correlate optic disc changes with visual field changes. Optic nerve changes include loss of rim tissue, enlargement of the central physiologic cup, enlargement of the central cup to disc ratio, tiny hemorrhages on the surface of the disc, and changes in the blood vessels as they exit the optic disc. In POAG, there is usually increased IOP in both eyes, but occasionally only in one eye. The definition of what constitutes increased IOP is controversial, and may vary from patient to patient, depending upon how much the optic disc appears to be damaged, and to what degree the visual field is compromised. The IOP is measured with an external pressure gauge (“tonometer”) that indents the cornea, and is measured in terms of units known as “millimeters of mercury” (or “mmHg.”). Usually, IOP over 22 mmHg raises concern. At 25 to 29 mmHg, a patient is designated as a “glaucoma suspect”. Above 30 mmHg, therapy is usually recommended. Patients with consistently borderline pressures within the mid to high 20’s, are also referred to as having “ocular hypertension”, and are followed at frequent intervals for conversion to full blown POAG. With progression of optic disc damage, there may be partial visual field loss peripherally, i.e. parts of a page missing. With advanced disc damage, late in the disease, there can be tunnel vision with preservation of a central island of field, or sometimes even loss of central fixation. Once established, the visual field defects from POAG usually do not regress. While mild to moderately elevated IOP is asymptomatic, or unnoticed by the patient, symptoms of severely elevated IOP, at least over 40 mmHg, can be significant, and can include blurred vision, and severe pain at the eye brow (“brow ache”). High IOP can also cause disruption of the physiology of the corneal, resulting in retention of fluid within the normally clear cornea, producing a hazy cornea (“corneal edema”). However, such corneal changes are typical of the high pressures more characteristic of “Closed Angle Glaucoma”. Extremely high pressure elevation is associated with the patient seeing haloes or rainbows around light bulbs, plus headaches and nausea. Stay tuned for our next posting from Dr. Friedlaender, Primary Open Angle Glaucoma, Part III, which will discuss treatment and monitoring. Author: Robert P. Friedlaender, M.D. The term glaucoma refers to a group of eye diseases, all of which result in damage to the optic nerve, also known as “Cranial Nerve II”. The mechanism for this optic nerve damage, which is usually slow and progressive, is not completely understood. However, in most cases, elevated intraocular pressure is a prominent finding, and a major contributing factor to optic nerve destruction. The effect of the optic nerve damage is the partial or complete loss of visual field in the affected eye. The beginning of the optic nerve is represented by a structure called the “optic disc”. The principal target location for the damage in glaucoma is actually this optic disc. The optic disc is a round pink disc of tissue. The optic disc actually represents 1 to 1.2 million nerve cells, extending from the retina to the brain. The optic disc resembles the saucer for a tea cup, with a shallow central depression, where the tea cup would sit, called the “physiologic cup”. In glaucoma, the damage to the optic disc usually involves thinning and degeneration of the outer rim, and increase in the size and depth of the physiologic cup in the middle of the optic disc. The most common form of glaucoma is “Primary Open Angle Glaucoma” (“POAG”). The “open angle” refers to fact that the angular space between the iris and cornea (“drainage angle”), in the front chamber of the eye (“anterior chamber”) appears open or unblocked, and thus, anatomically normal. By contrast, there is another less common form of glaucoma, known as “Closed Angle Glaucoma”, in which the drainage angle appears “closed” or blocked, by the the iris, and forward movement of the eye’s natural lens. The drainage angle, located in the periphery of the anterior chamber, contains the outflow tract for fluid produced inside the eye, called “aqueous”. The aqueous is a clear fluid, and is produced by a body of tissue known as the “ciliary body”. Aqueous flows through the pupil, and exits through a filtering mechanism within the drainage angle, which can be thought of as a 360 degree, circular gutter or canal. Most of the aqueous (85 to 90%) exits the eye through a sieve-like filter, composed of spongy tissue, within the drainage angle, called the “trabecular meshwork”, and proceeds to enter the blood stream. Study of the trabecular meshwork in POAG eyes, with the electron microscope, has revealed a decrease in the population of cells, with the presence of many tiny extracellular deposits, or extracellular plaques. The overall effect of the abnormal anatomy and physiology of the trabecular meshwork, is a reduction of both the amount and rate of aqueous leaving the eye, and resultant elevation of pressure within the eye. Also, elevated IOP may also be partly contributed to by over production of aqueous by the ciliary body, essentially causing over inflation of the eye ball, or “globe”. 4.) toxicity to ganglion cells and their axons, from chemicals and waste products of metabolism. Occurrence - Who Gets POAG? In developed countries, glaucoma is probably the third most common cause of irreversible vision loss, after age related macular degeneration, and diabetic retinal disease. The incidence of glaucoma increases with age. POAG is found in 1.3 % to 2.1% of the general population over age 40. African Americans are 4 to 5 times more likely to develop POAG than Caucasians. POAG is found in 1 in 10 elderly African Americans, and 1 in 50 elderly Caucasians. There is a genetic predisposition to many types of glaucoma, especially POAG. However, inheritance is not directly dominant, and probably requires the presence of more than one gene (“polygenetic”). About 25 % of patients with POAG have a “first degree relative” (i.e., mother, father, sister, brother) with a history of POAG. Aside from elevated IOP family history and racial background, additional risk factors include, thin central cornea corneal thickness (CCT), myopia (or “near sightedness”), diabetes, and the prolonged use of steroid medications, taken either locally (as eye drops or gels), or systemically. There is also a light increased risk associated with the presence of high blood pressure. Since both diabetes and smoking have a negative effect on the body’s smallest vessels (the “micro-circulation“), it would not seem surprising that they could reduce blood flow to the optic disc, adding to glaucoma damage. Stay tuned for our next posting from Dr. Friedlaender, Primary Open Angle Glaucoma, Part II, which will discuss signs and symptoms, exam findings, and visual field defects. Author: John G. Yassin, M.D. There have been enormous advances in Soft Contact lens technology and design to allow us to fit our patients with almost unlimited options. SeeClearly Vision takes pride in keeping up with all these modalities and offers our patients the wide range of lenses available. The addition of silicone to the lenses which makes them transmit more Oxygen to the eye has made lenses more comfortable and healthier to wear. Daily disposable lenses are now available to correct the common refractive errors, including astigmatism. They are increasingly popular as the price of the lenses has dropped to affordable levels. These lenses provide the safest way to correct refractive errors and make it possible to fit patients who are allergic or sensitive to chemicals found in cleaning and disinfecting solutions required to care for other lenses. For those who are faced with the need for reading glasses, there is exciting Soft Lens news. There are multifocal, progressive Soft Lenses which act like progressive addition glasses. Presently, we can fit patients with such lenses who also need to correct astigmatism, as well as their other refractive errors. You can be assured that we will, after a complete eye exam, advise you of the alternatives and fit you with the best lenses for your eyes. Author: Dawn L. Williams, O.D. I spend a lot of my time explaining untruths to patients they’ve heard for many years concerning the eye and vision. One of the most commonly heard is very poor vision will require the use of bifocals. This is not an accurate statement. Let’s find out why. When a person experiences blurred vision, they likely have one of the following conditions: myopia (near-sightedness), hyperopia (far-sightedness), or astigmatism. In most cases, the use of spectacles can provide clear vision. There are varying degrees of these conditions that will dictate how thick your lenses will be. Generally speaking, the higher the value, the thicker the lenses will be. Thick lenses are not called bifocals. They are simply single vision lenses that happen to be thicker. Luckily, there are new technologies that will allow higher powered lenses to be made thinner and more lightweight. The term bifocal means to have two areas of focus. When referring to eyeglasses, it means there is correction for distance vision and another for near vision. The power and thickness of the lenses has nothing to do with your need for a bifocal. The condition that warrants the use of that type of lens is termed presbyopia. Hygiene and application techniques are important factors when wearing eye makeup. Follow the tips below to ensure your eyes stay healthy and beautiful. Wash hands before handling your cosmetic bag or cosmetics to keep the cases free of germs. Replace cosmetics frequently. Mascara and eyeliner should be replaced every 3 months at a minimum. Wash brushes, applicators, and lash curlers often. Never use a pencil for both eyes and lips. Never share makeup. Ensure clinical hygiene is maintained when sampling makeup. Never use water or saliva to thin clumpy mascara. Apply makeup only to the external part of the eye (outside the lash line). Do not apply eye liner to the “water line”. Never apply makeup to a red or irritated eye. If symptoms persist for more than 24 hours or you have pain, discharge, or light sensitivity, see your eye doctor. Always replace eye makeup after an eye infection. Remove eye makeup every night. Do NOT use waterproof formulations. Sterilid and Ocusoft Foaming Cleanser are OTC products well suited for cleaning the exterior part of the eye. Patients can develop allergies at any point in time, even to a product they have used for years. If you have redness, itchiness, or flaking of the skin, discontinue makeup and see your eye doctor. They can treat the inflammation and help guide you on how to reintroduce products one at a time. Add new products one at a time to monitor for allergenicity. Never multi-task while applying makeup near the eye or tweezing, and never apply makeup in a moving vehicle. Corneal abrasions are painful and can lead to serious infections or corneal scarring. Quite often, when patients come in for an exam, they complain of seeing floaters. So, what are floaters? In the eye care world, floaters are anything that interferes with the visual pathway by casting a shadow on the retina. They can be caused by debris in the tear film on the corneal surface, or of greater concern, in the vitreous gel. When we’re children, the vitreous gel is more solid; however as we age, parts of the gel will liquefy. These liquefied portions will cast a shadow on the retina, thereby causing you to see floaters. This is not an uncommon phenomenon. However, if the floaters you’re experiencing an increase in abnormal floaters that occur with or without flashing lights, you should seek immediate attention from your eye care professional. This can be a sign of a more serious complication involving the retina. Retinal tears or detachments, if left unchecked, can lead to permanent vision loss. If the retinal tear or detachment is found early, intervention can be quite simple. However, retinal repair surgery in an operating room may be needed to repair the issue.